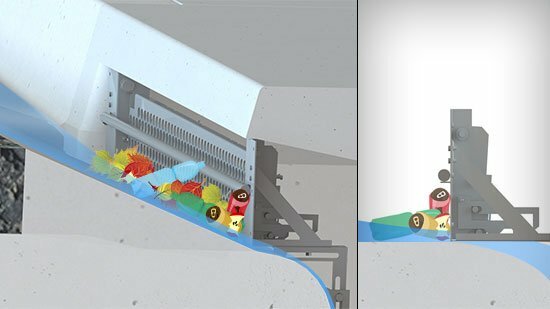 The Watergate ARS is an automatic retractable screen that blocks trash and debris from entering storm drains during dry weather and light to moderate rain flows. During periods of increased flow and heavy rain, the screen will unlock and open to allow runoff into the storm drain to prevent flooding. The Watergate ARS features a patented frontpivot design to automatically bypass the screen toward the closed position and provide for more effective closing and locking. Patented Front-pivot Design Provides a Natural Positive Closing Force – Superior to Springs, Magnets, and Counter Weights Found in Traditional Units. Receptors in the Control Arms Allow the Watergate to Manually Lock Open from the Street. A Simple Push Upward on the Screen Returns the Unit to Normal Operation. 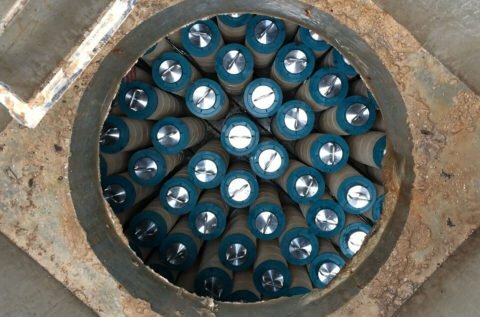 Stormwater flows of approximately 2-inches or more will unlock and open the Watergate. 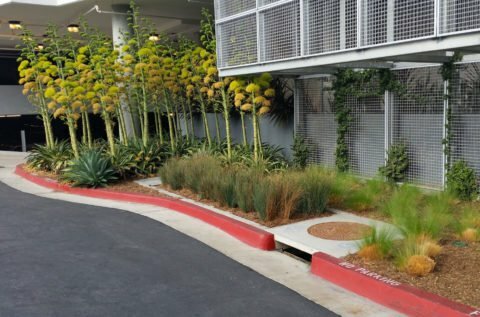 During these periods of increased flow and heavy rain, the screen unlocks to allow runoff into the storm drain to prevent flooding. When the water flow subsides, the screen will return to the closed and locked position. Patented Positive Force Closing reduces the possibility of debris becoming trapped under the screen. 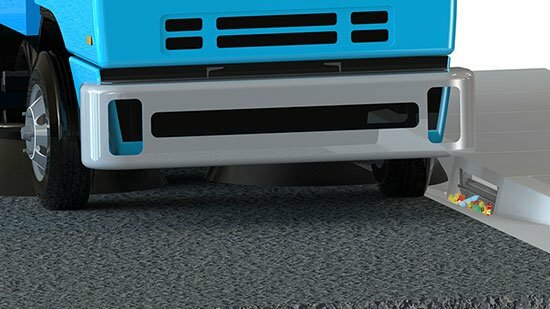 The Integral Control Arm prevents opening beyond operational limits. 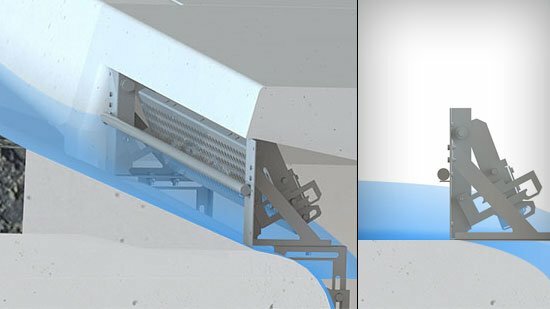 If the screen is clogged with debris, the top overflow design directs flow onto the actuator, which helps the unit open. 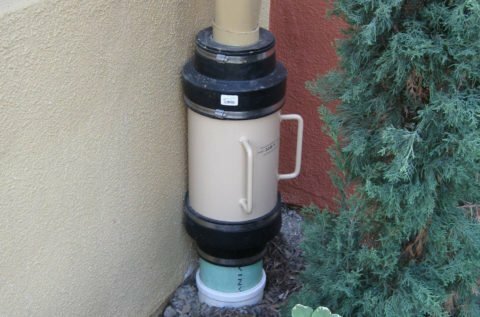 The Watergate ARS stormwater system is a partial capture, first flush device. 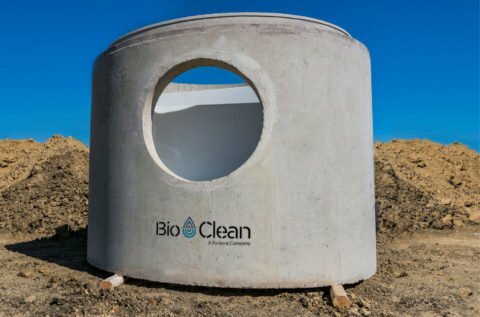 The California Regional Water Quality Control Board has recommended the Watergate ARS to be placed on the face of the catch basin openings to keep large trash particulates from entering a catch basin. Routine street sweeping is the only maintenance necessary. Routine street sweeping is the only maintenance necessary. The Watergate will remain closed and locked during routine street sweeping and is not affected by the sweeping brushes. For added peace of mind, when large storms are expected, the Watergate can be manually locked open from the street by hand using receptors in the control arms.